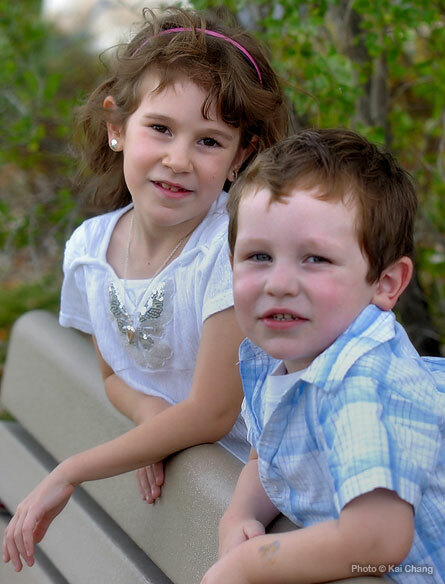 It was nice to take Horizon & Zephyr’s pictures at Kings Park today. The weather is great, we were wandering around in the Kings Park and taking pictures at several spots. The lens that I mostly used, one of my favorite lenses Nikon AFS 28-70mm f/2.8, is broken and I sent it to fix. So the lens that I used for today was Nikkor 105mm f/2.5, which is another unique lens that I have and it has been qualified in Nikon’s The Thousand and One Nights category. The picture taking went over smooth, except some incidents. Horizon got the finger injury when she climbing up the rock, and Zephyr slid into the water. Anyway, it is not a big deal, at least the pictures turned out quite well. I just took a quick look of them, and may takes a while to convert all the RAW files. Is film died yet? This is a very interesting question. We all know this is the digital era now, most people taking pictures with the digital cameras. However, does anybody still shooting film? Ilford and Agfa have decided to call it a day couple years ago, Kodak and Fuji reduced the production but increased the price of the film. I was very sad about this news because both Ilford and Agfa produced my favorite B&W films, and I like Agfa’s CT Precisa slide-film as well. Either Developing the negative films or processing the positive slides are getting more expensive, more and more traditional photoshops shutting down because the marketing is on the digital side. Since it is too hard to fight with the digital tide, I bought a digital SLR two years ago for time saving sake. It is really convenient that it allows me to load the pictures into my laptop that I just took right away. However, the digital camera could possibly saves time, but the dynamic range and the quality of the image that the electric sensor still can not compelling the film. The good news is that Agfa has decided to start their film production line again. This is a big risk but why they do that? A survey done by Kodak evidences that Professional Photographers Remain Ardent Users of Film. The survey of more than 9,000 professional photographers in the U.S, and %75 of them saying they will continue to use film. 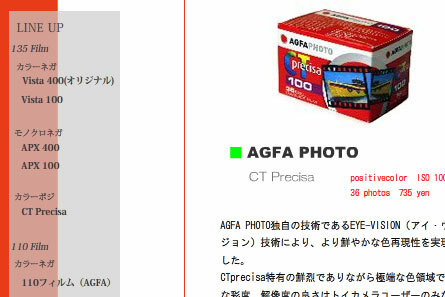 This article surprised me because I was always expecting Agfa’s CT Precisa backing to market, now they doing it. Good call: film never die! 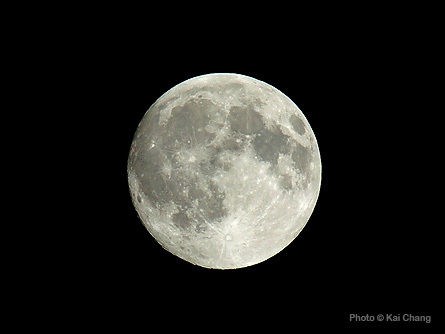 There is a full moon tonight so called the Harvest Moon because in the ancient period that farmers always relied on moonlight to help them gathering ripened autumn crops. The moon rising up brightly on the east when sunsets, which allows farmers continuing work late into the night. Also today is the Mid-Autumn Festival (Full-Moon Festival) in Chinese culture. The Mid-Autumn Festival falls on the 15th day of the 8th lunar month every year, and it has a long history with a love story. Typically, people will have some moon cakes and celebrate with their families in most Chinese societies. 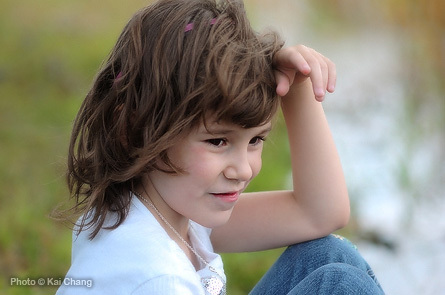 This picture taken with 200mm tele-lens x 2 (tele-converter) x 1.5 (APS-C crop) = 600mm this is the longest focal I have. What can be happened at the Exchange District? 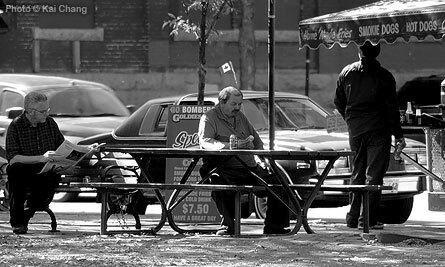 Is it the old men chatting in the park, the people enjoying their lunch under the tree, or the homeless people trying to find something value on the street? There is many possibilities. 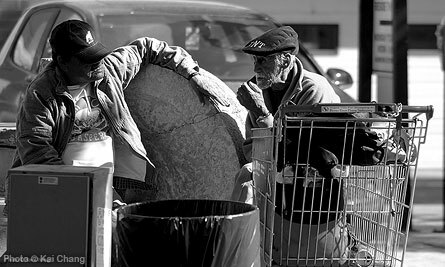 The reason I shot these in black and white because sometimes colors may irritating the emotion of the scene, and that is why there are so many photographers still prefer shooting black and white film. 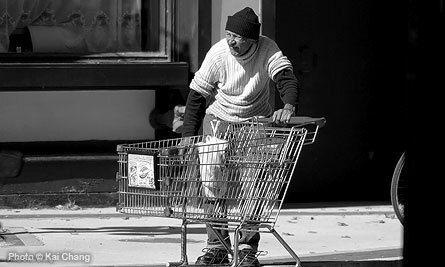 With the digital technology it is now possible to take infrared light photos with your digital cameras and greatly simplify the photo process. However, there are two different ways to do IR photography, one is converting your digital cameras, the other one is using the IR filter. Despite the digital cameras are sensitive to infrared light, most digital camera manufacturers place a hot mirror filter in front of the CCD or CMOS sensor to block infrared light. To achieve the IR photography, we have to remove the hot mirror filter and replace with the IR filter in front of the sensor. 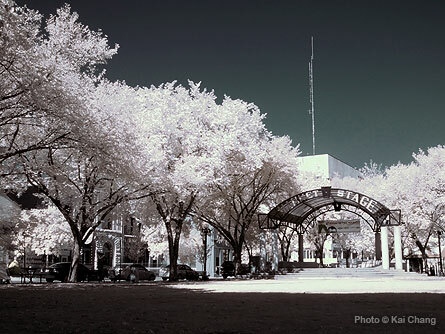 The drawback of this kind of infrared conversion is your camera can now only take IR pictures. I was just taking the IR photos for fun, so I don’t want to convert my digital camera. It is still possible to take IR pictures with an unmodified digital camera, by placing a IR filter in front of the lens. Because the IR filter blocks all visible light, once you mount the IR filter on you will see nothing inside the viewfinder, so we have to compose the scene first before we mount the filter. Also the exposure time becomes quite long in most cases, a tripod is required. 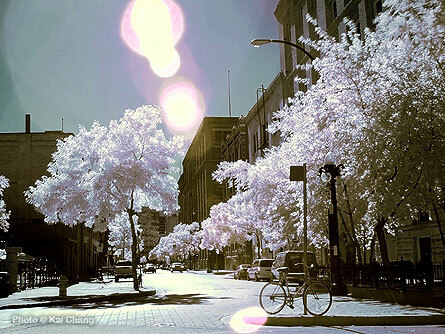 I took couple IR shots at the Exchange District, a historical area in Winnipeg, trying to see the world in different ways. Cheryl and Shoaib’s wedding album is now presenting in the GALLERY section. There are so many fabulous pictures but I can only selected some of them due to limited of the bandwidth. Be honest, this is the first time I taking wedding photo on the cruiser so there were so many challenges such as the wavy working environment, and the interior ceiling is too low to bounce the flashes …..etc, but the good thing is I didn’t get sick during the cruising. As a photographer I always in charge taking pictures of the events, and I never thought I would be photographed. 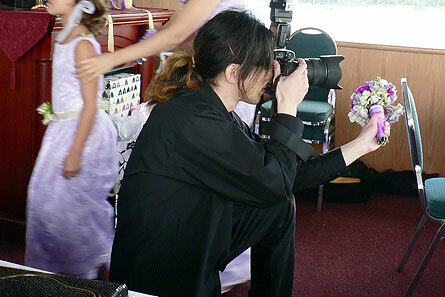 This is my friend Fabio capturing me while I photographing at Cheryl and Shoaib’s wedding.